At TMS Estate Agents, we always have your best interests at heart. We strive to bring you competitive prices at all times as part of our superior property services. The fee we charge depends on the style of property that you want to sell, and the type of marketing you require. Please get in touch for a free valuation with absolutely no obligation to proceed, and we will be happy to give you a specific quote that meets your individual requirements. Give us a call now on 01843 866055. 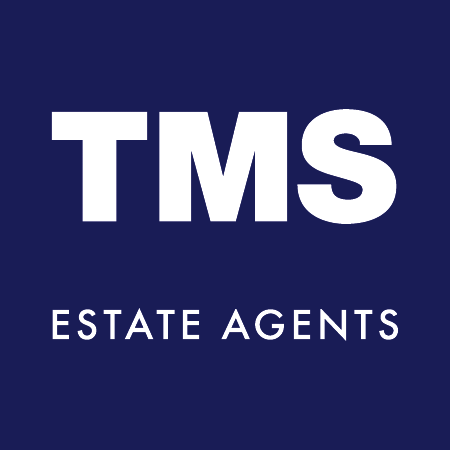 At TMS Estate Agents we charge 12% for full management and 7% for rent-collection only. A tenant find and set-up fee equivalent to the first month’s rent is also applicable. All fees are exclusive of VAT which will be added at the prevailing rate. Please note that additional charges may apply and are detailed in our terms of business. The fee we charge depends on the type of property that you want to sell, and the type of marketing you require. Please get in touch for a free valuation with absolutely no obligation to proceed, and we will be happy to give you a specific quote that meets your individual requirements. At TMS Estate Agents, we charge 12% for full management, and 7% for rent collection only. A tenant-find fee equivalent to 75% of the first-month’s rent is also applicable. All fees do not include VAT and are available at the usual rate. Please note that additional charges may apply and are detailed in our terms of business. The marketing fee is 20% of the gross booking. To arrange the cleaning and laundry and also deal with any maintenance issues, we charge a further 10%. If you require TMS Estate Agents to provide a 24-hour emergency service, our fees will increase by a further 5% to 35%. All fees are exclusive of VAT which will be added at the prevailing rate. The reference and admin fee for the first tenant is £210, inclusive of VAT. Each additional tenant reference and admin fee is £150, inclusive of VAT thereafter. Should you require a guarantor, there is also a £60, fee including VAT to reference them. There is a £100 holding fee which will hold the property while the referencing is being completed and, upon successful referencing, as well as the landlord’s acceptance, this is used towards the six weeks' security deposit held in a government scheme. However, should your application not be successful, the above fees will not be refunded. If you are part of a group, each individual member of the group must pass the references. This means that if any person in the group does not pass referencing, then the application fails and none of the tenants will receive a refund. Should the landlord withdraw from the let, the holding deposit will be refunded plus half the referencing and administration fee. Contact us in Broadstairs, Kent, to learn more about the fees that occur when you would like to use our property management service. Monday - Friday, 9:00 a.m. - 6:00 p.m.
Sunday, 10:00 a.m. - 4:00 p.m. The information provided about any property does not constitute or form part of an offer or contract, nor may be it be regarded as representations. All interested parties must verify accuracy and your solicitor must verify tenure/lease information, fixtures & fittings and, where the property has been extended/converted, planning/building regulation consents. All dimensions are approximate and quoted for guidance only as are floor plans which are not to scale and their accuracy cannot be confirmed. Reference to appliances and/or services does not imply that they are necessarily in working order or fit for the purpose.